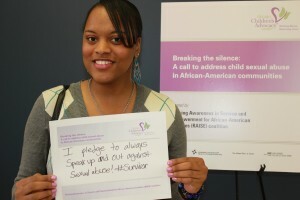 Sexual abuse leaves children vulnerable to wide-reaching physical, psychological and social consequences. Although individual and family therapy can promote healing and recovery, African-Americans have one of the highest rates of unmet mental health needs. Despite decades of efforts to alleviate disparities and at least three national policy studies, racial and ethnic minorities continue to have lower rates of engagement in mental health services. Washington Square Health Foundation provided support for the RAISE symposium. 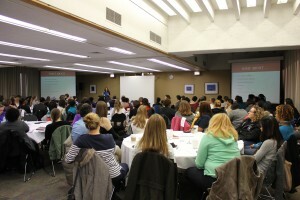 By hosting a symposium, leading community workshops and meetings and mobilizing collective action, the Raising Awareness in Service and Empowerment of African-American Families (RAISE) coalition, led by Chicago Children’s Advocacy Center (ChicagoCAC), will improve the rate at which African-American children and their families—who represent the largest population served by ChicagoCAC—engage in mental health services. Building upon its experience leading the Providing Access Toward Hope and Healing (PATHH) Collaboration, which has been particularly successful in engaging Latino clients, ChicagoCAC will mobilize the coalition to reach 150-200 professionals in its first year who serve African-American communities. Over time, its activities will directly and indirectly benefit more than 1,000 African-American children in Chicago who are suspected victims of child sexual abuse. Founded in 1998 by Former Mayor Richard M. Daley, Chicago Children’s Advocacy Center (ChicagoCAC) and its public partners are the front-line responders dedicated to restoring the lives of Chicago children who are sexually or physically abused. Since opening in 2001, ChicagoCAC has served more than 25,000 children. ChicagoCAC is the only nonprofit in Chicago that coordinates the efforts of law enforcement officials, child protection staff and medical experts to respond to child abuse allegations as a multidisciplinary team co-located under one roof. Bringewatt, Elizabeth H. and Elizabeth T. Gershoff. “Falling through the cracks: Gaps and barriers in the mental health system for America’s disadvantaged children,” in Children and Youth Services Review 32 (2010) 1291-1299.